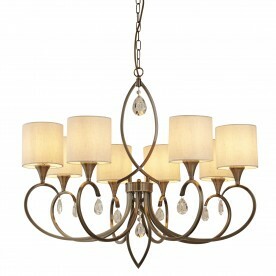 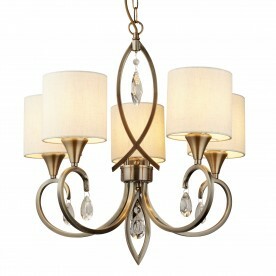 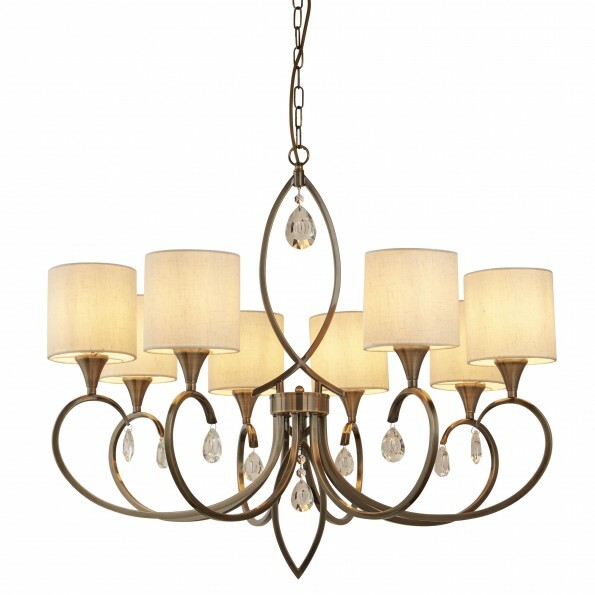 Oatmeal shades and antique brass provide a truly classic finish to this 8 light pendant. 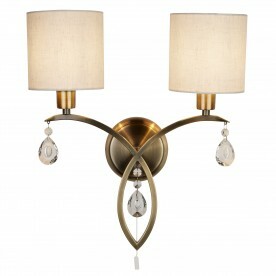 The long and curved arms slope to reach the attractive shade which gives a soft glow. 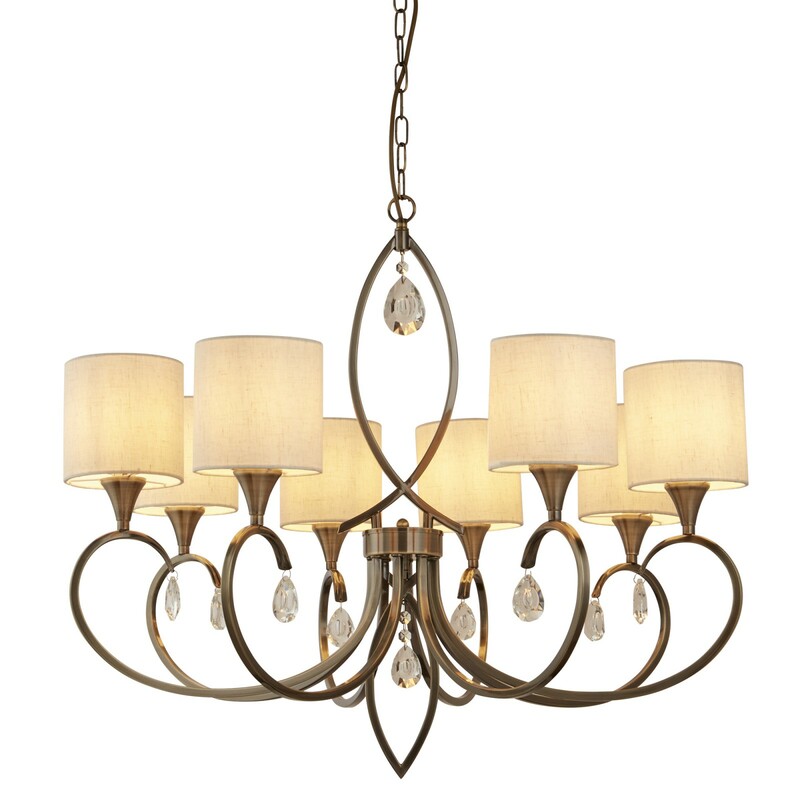 With the addition of crystal drops, this is a statement piece that will add an element of sophistication to your hallway, lounge or dining room.